Wimborne it’s a pretty, historic market town, a few miles drive away from where we live. 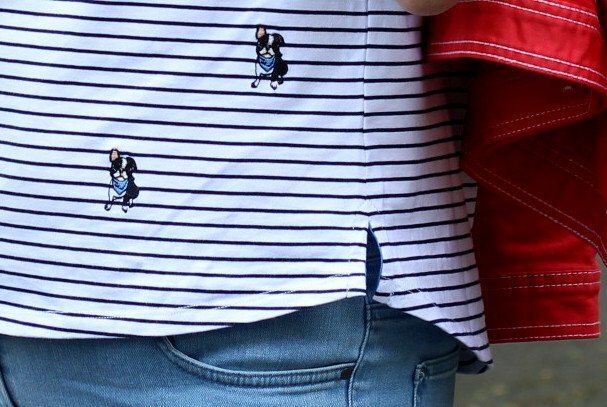 If you read my last fashion post, you will know that we are attempting to spend Sunday without social media and to spend more time together as a couple and as a family. Sunday Coffee in Wimborne, Wearing Laura Ashley. …we are attempting to spend Sunday without social media and to spend more time together as a couple and as a family. Wimborne Minster, to give it is correct name, is a small market town in East Dorset. The Minster part of its name, comes from the large Saxon church situated in the town. The town also boasts a very old model village. When my son was small we could often be found there, peering into the tiny windows of the model buildings. Nowadays I like to visit Wimborne for the shops, Marc likes the pubs and we all like the very pretty cafés and tea houses. Plenty of reasons to visit Wimborne on a Sunday then? Now although I am cutting out social media on a Sunday, I would never pass up an opportunity to have an outfit photographed. 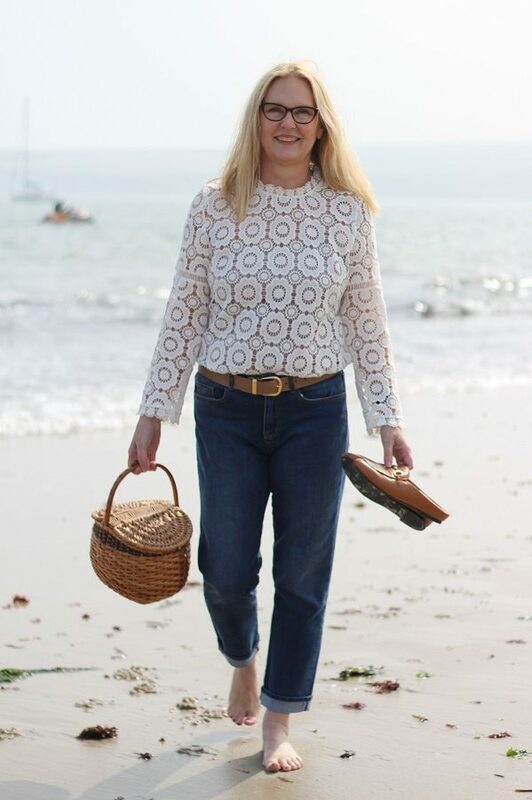 Marc obligingly took these pics for me…thanks darling, love you! 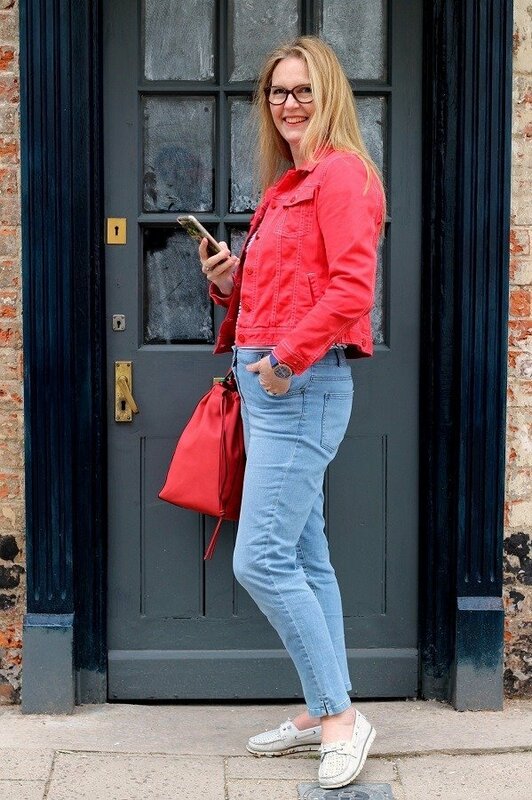 Just look at that red denim jacket! it was love at first sight for me and as for that Cherry charm drawstring bag I could eat it! All in all a happy couple of hours and I managed to take a few very cute pics for Instagram next week so make sure you are following LAZY DAISY JONES to see more of what this sweet little town has to offer! Did you know it was the original home of Farrow & Ball paints? However, that’s another story for another day. So what do you think of my new casual outfit then? Told you ! live in jeans! PS. Did you read the post I wrote about reupholstering our ercol Chair with some gorgeous Laura Ashley fabric? I did it myself don’t ya know. 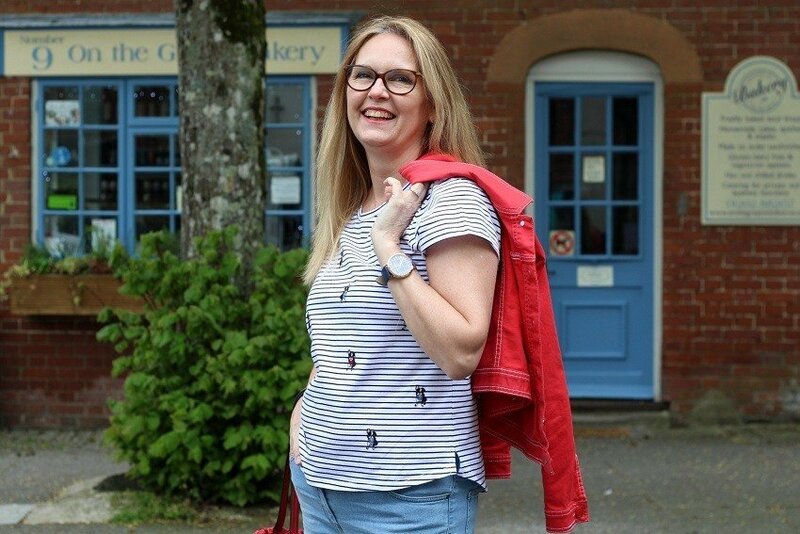 I was kindly gifted the jeans, t-shirt, jacket and bag by Laura Ashley. The Shoes were gifted by Lotus shoes. I am proud to work with both these UK Brands. I can assure you I would not recommend these products too you if I did not like them! All words and opinions are my own. Up until a couple of years ago I had lived just outside of Wimborne for nearly 30 years and it has definitely changed in that time. You look really good in that outfit and ready for our long awaited summer. Hi Kelly! … what a coincidence! It has changed they have stopped parking in the square and there are now some super shops for us ladies! thank you for the compliment too! Fabulous outfit Ashley. Very much up my street, Wimbourn or not. Sussex in my case. I live in jeans too and am also a LA fan. Look forward to the IG pics. Thank you so much, I used to live in sussex both east and west and have very fond memories of it too! 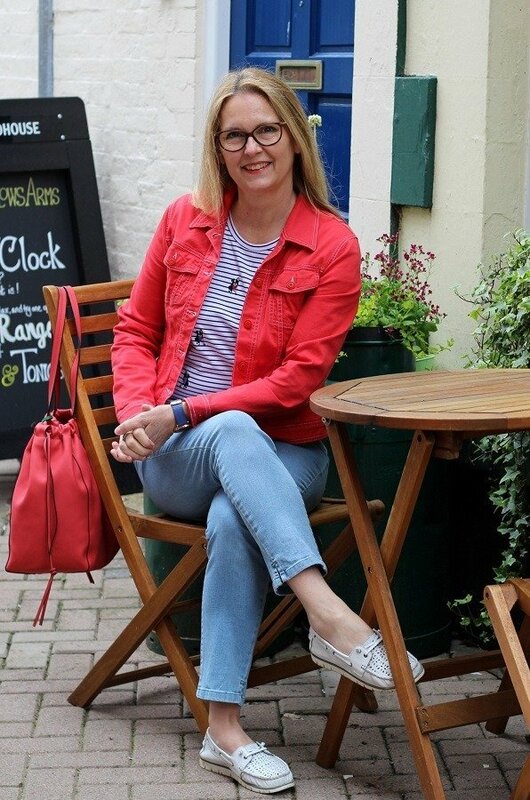 Pretty casual look Ashley…I particularly like the red denim jacket. Lovely pics too ?? 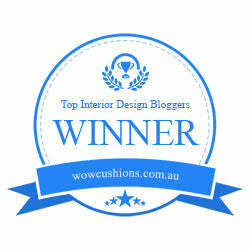 Thank you, I need a new blue denim jacket next, they are surprisingly warm aren’t they? We used to have a Laura Ashley here in Arnhem, haven t got a clue of it is still there. I think of romantica floral dresses with LA but as I see, they have much more! Love it! Nancy I had no idea you lived in the netherlands! how lovely! Laura Ashley can still suprise me these days! 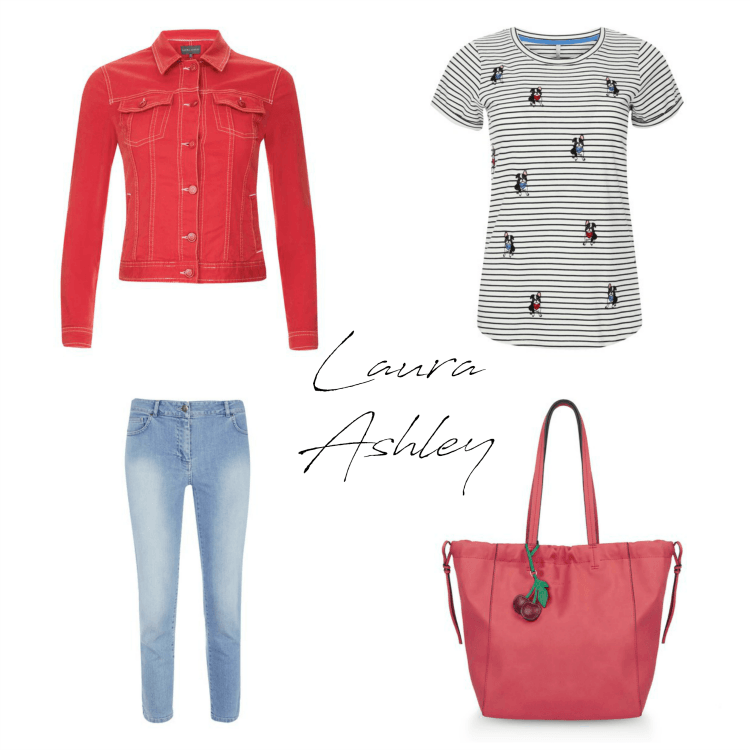 Gorgeous red denim jacket and bag – have overlooked Laura Ashley for casual stuff. Great to hear about your social media free Sundays. We should all try it! Hi Gail and thank you! Social media is a time waster isnt it? I have to do it for the blog, but now taking sundays off!, life is short!